The Android developer options are hidden by default. It’s not a consumer feature, so Google no doubt decided that it was better for people to not know that they’re there, unless they need to use them. Yet there are a few features that are useful for users that aren’t also developers. In this tutorial we’ll show you how to enable the developer options in Android—as well as how to disable them once again—and some of them of the cool things you can do with them. Go to Settings > About phone. Scroll down to the bottom of the screen to locate the Build number. Now tap this seven times in a row. You’ll then see a message telling you that you are a developer. Press the back button and the Developer options will have now appeared just above About phone. Tap it and then hit the slider at the top of the screen to turn the options on. If you want to disable the developer options temporarily you can simply set them to Off in the Developer options screen. To hide the option entirely once again go to Settings > Apps and swipe across to the All apps tab. Scroll down until you find Settings, then tap this. Now tap Clear data. Confirm when prompted, and the Developer options will be hidden again. This won’t affect any other changes you’ve made in Settings. ART is a new app runtime for Android that can considerably speed up the launching and general performance of your apps. 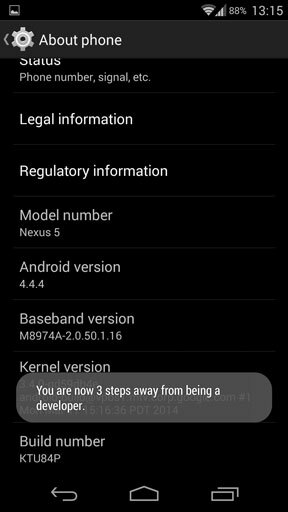 It’s an experimental feature in KitKat, but will become the default runtime in Android L.
Some apps don’t currently support ART—and you must disable Xposed if you have that installed—but you can easily switch back to Dalvik if it’s not for you. 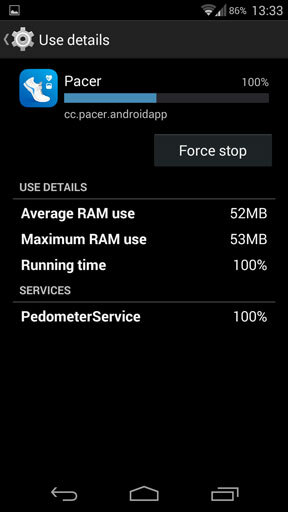 Process Stats shows you which apps you’ve got running and how much memory they are using and have used. Android itself calls them ‘geeky stats’ and they are, but they can also be useful if you suspect an app is using more resources than you’d like. For most Android mods that require you to connect your device to a computer via USB you’ll need to have USB debugging enabled. The animations are the transitions you see when opening apps and swiping between screens. 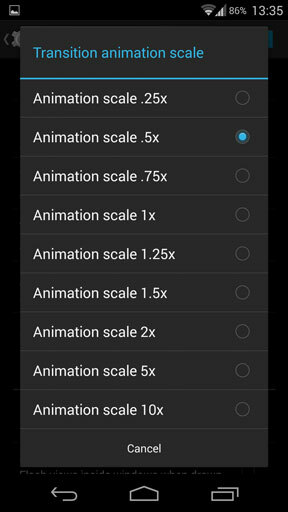 Reducing them all to .5x will have a noticeable effect on the perceived speed of your device—it won’t actually be faster, but it will look it. To be used only in limited circumstances you can restrict there number of apps that run in the background on your device. Setting it to none means that all resources will be given to your foreground app, though multitasking will become very much slower as a result.